1. Quickly, with our efficient item entry technique, enter all the items from the bill including any taxes. 2. Split the bill items with our easy to use selection process. You can even share the cost of an item. 3. 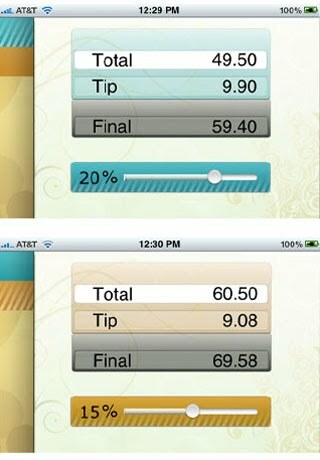 Each person can then see his/her total and change the tip percentage if needed. It's just that easy. So convert the unpleasant experience of dividing the bill into a fun experience by using the Bill Split EZ application. Click here to purchase the the Bill Split EZ at the iTunes store. - Has extra fast technique for entering bill items: enter number (no decimal point need be entered), touch next, enter next number, touch next, etc. Enter a ten item bill in less than 30 seconds. - Allows the bill items to be split between 1 to 6 payers. - Allows for shared bill items, like a bottle of wine, to be shared between multiple payers. - Keeps track of the individual totals and tip amounts. - Allows each payer to have different tip percentages. - Automatically divides common items like tax correctly. 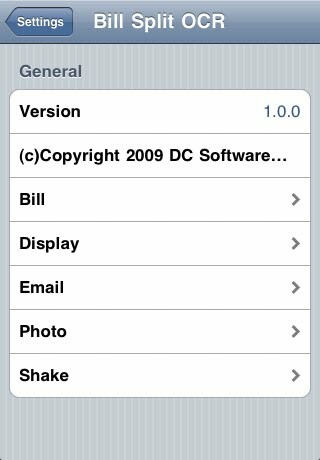 - Editing of bill item amounts is extremely easy. - Shake feature for evenly splitting all items. - Shake feature for randomly choosing one payer for the whole bill. - An email can be sent containing the various splits, the bill items and a CSV (Comma Separated Value) file. - Allows for various default settings like email addresses and tip percentage. which shows the totals and tip.